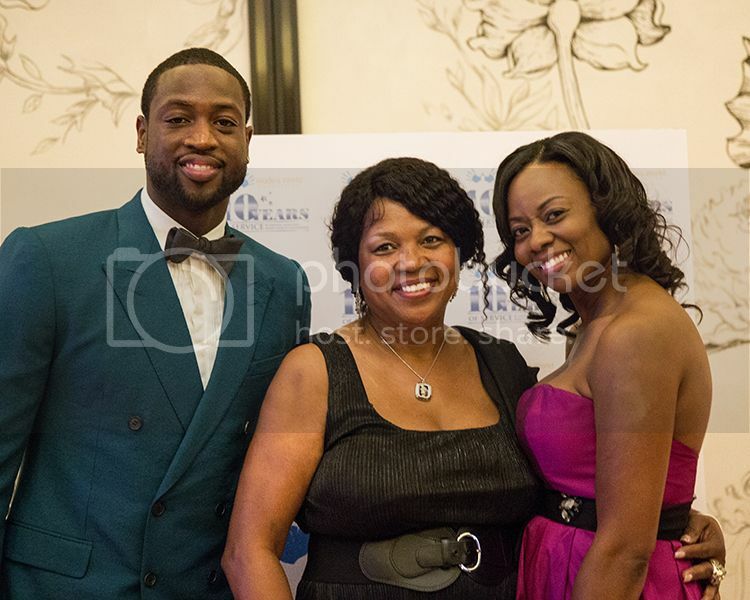 Dwyane Wade with mother Pastor Jolinda Wade and sister Tragil Wade at the Wade's World Foundation's 10th Anniversary Celebration Gala. 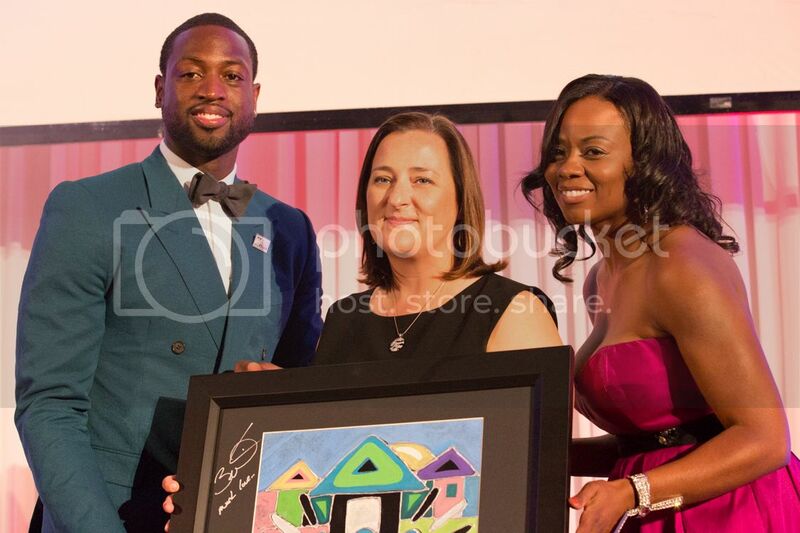 CHICAGO, IL —Miami HEAT Champion and Chicago-native Dwyane Wade returned to his hometown for a weekend of events in support of his Wade’s World Foundation and the Chicago community. This year marks 10 years of service that the Wade’s World Foundation has provided to communities across the country. The weekend’s festivities began on Friday, September 6 with the foundation’s 10th Anniversary Celebration Gala at the Peninsula Hotel hosted by award-winning journalist and former CNN correspondent TJ Holmes along with Chicago’s own Robin Robinson, award-winning anchor of WFLD’s evening newscast. The evening featured live performances from violinist Lee England, Grammy Award winning gospel artist Vashawn Mitchell, singers Kristen Lowe and MaeYa Ryan and comedian Damon Williams. Media personality Steve Harvey and his wife Marjorie, and Laura Ricketts, chair of the Chicago Cubs Charities, were honored with the 2013 Excellence in Philanthropy Award for their profound commitment to youth and positively altering the life of many disadvantaged young people across the country. On Saturday, September 7, Wade hosted the “Live to Dream” Festival at Douglas Park, a free community event that featured entertainment, free dental and health screenings, employment opportunities for young adults and opportunities to sign up for City approved after school programs. “My foundation and I want to stress the importance of after school programs that help keep children focused and safe,” stated Wade. 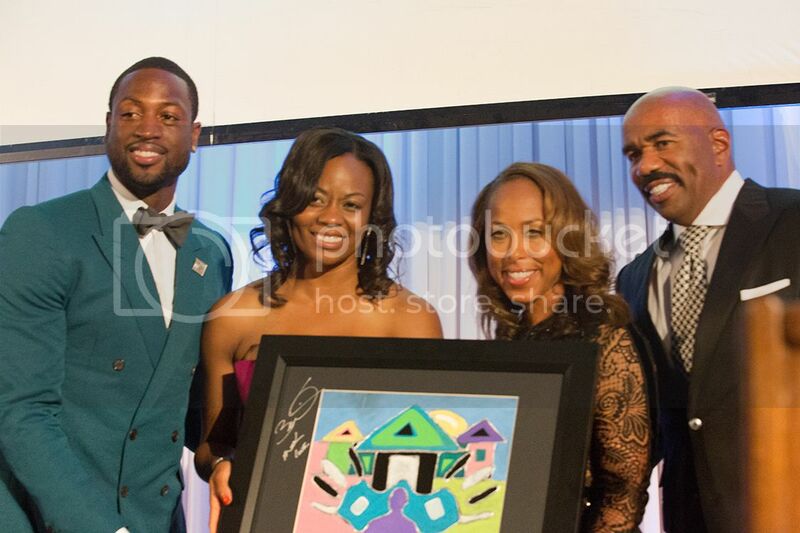 All net proceeds benefited the Wade’s World Foundation and local Chicago community organizations.